Trinity College offers a hockey program that caters for all levels of participants from Years 1 to 12. The program aims to provide an enjoyable and competitive environment for students to develop their abilities. Our youngest and least experienced hockey players have access to the Hook In 2 Hockey Development Program, with one training session per week. There is an option for these students to play regular Saturday mornings in the Barossa Valley Hockey Association (BVHA) competition. 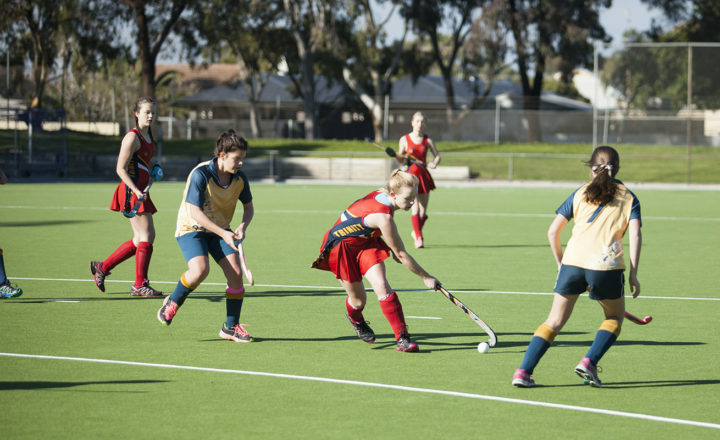 For those ready to play regular weekly games, students up to Year 7 can play in the Barossa Valley Hockey Association competition on Saturday mornings. Games are rotated between Karbeethen Reserve, Angle Vale Road, Trinity College's Hockey Pitch, Evanston and Stockwell Recreation Park, Stockwell. For our older students Trinity College enters teams playing in the Independent Girls School Sports Association (IGSSA) and Sports Association for Adelaide Schools (SAAS) competitions, playing against other Adelaide schools and colleges in regular home and away weekly fixtures during term times. 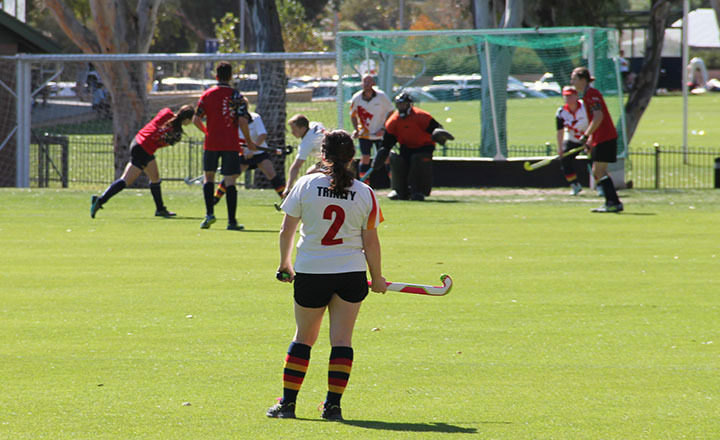 Games are played on Saturday mornings, while training is held twice per week at the Trinity College Hockey Pitch. Currently under construction and due for completion in Term 2 2019, is a new synthetic hockey pitch. Old scholars are welcome to join one of our teams after graduation. Find out more here.